Adult and Senior In Home Care Services Agency - Right at Home: senior adult home care services, in home, non medical care. 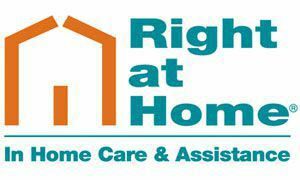 Right at Home provides supportive in home care for seniors and other adults to remain independent in their own homes - assistance after a hospital stay, care for those with chronic illness (alzheimer`s, heart disease, etc. ), an aging parent who needs help to remain independent, or a respite for a family caregiver. Light housekeeping, meal prep, errands, bath assist, laundry, medication reminders, assistance with walking, continence care, skin care, dressing, feeding, and more. We provide our caregivers and their clients strong support from our staff RN and our Social Worker. Most cases can start within a day of our free assessment. We stress matching caregiver skills and personalities with client's needs and characteristics. Our support staff is reachable 24 hours per day; no answering machines after hours!